During an interview, Min Joon revealed that he had always wanted to help human with his power, even if they treated him differently. A flashback to Joseon and Min Joon related an accident when he helped a man whose leg was trapped underneath a boulder using his power. Instead of gratitude, the people hunt him down, thinking that he is a monster. Min Joon explained that he became a source of fear even with long established friends. He demonstrated supernatural power to this friend, most probably before his identity wipe. This move have destroyed their friendship and frighten this friend of ten years. Min Joon finally revealed that he displayed his power to frighten Song Yi so that she will stay away from him. We resumed the scene at the Museum. Min Joon shattered the glass behind him, stepped forward and warned her to leave (go faraway). He revealed that he only saved Song Yi because of her resemblance to the girl in the past. Song Yi was trying to process all the informations in her head, while walking out of the Museum in a daze. She tripped on her heels, stared at the Star and shouted,"If you are an alien from the Star, then I must be the Vampire!" 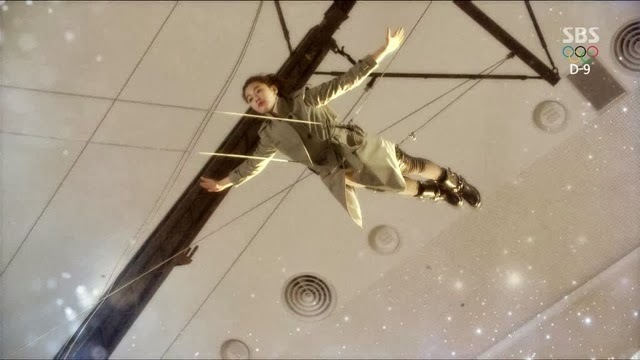 Jae Kyung seemed to snapped and became crazy. She was talking to the ghost of Yura? He was been investigated by the police and figured out that Song Yi was the one that told them. Jae Kyung muttered that they drove him to the edge and he will kill them at all cost. His halluncination disappeared as he stared out of the window. Lawyer Jang clucks that Min Joon does not need to do that to Song Yi and should have quietly left. He asked Min Joon is it possible to erase memories just like what was seen in the movies? Min Joon huff his no. 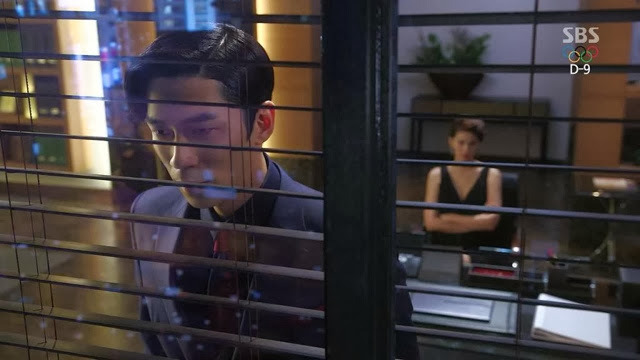 He was in a dilemma about leaving Song Yi or to stay behind to protect her. His conclusion was to leave Song Yi and ensured that she will live a good life. 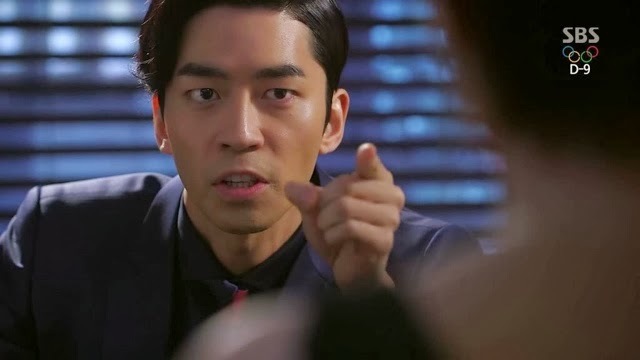 Lawyer Jang does not understand the logic and the flashback brought us back to Min Joon meeting Jae Kyung and agree to shoulder the blame in exchange to leave Song Yi alone. Song Yi shared with Bok Ja about that incident with Min Joon. Bok Ja concluded that either Min Joon had lied to her just like her previous encounter with men or he is mentally unstable. Looking for more concrete evidence about Alien, Song Yi climbed up the cliftside where she had a near accident. She screamed for Do Min Joon, oblivious to the astonishment of the hikers who thinks that she is a lunatic. Next, she sat through Min Joon lecture and stopped him at the exit. She requested Min Joon to display his supernatural power. 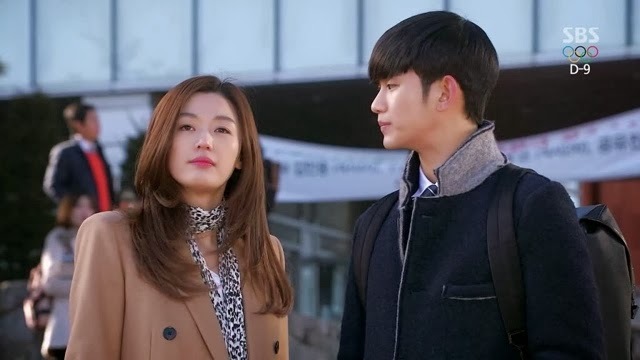 Min Joon rolled his eyes and pushes past her in human fashion. Out of the building, she pestered Min Joon again and he was increasingly annoyed by her. She declared that she will announce to the whole world that he is an alien, unless he agree to have dinner with her. Song Yi gets to pick the destination for dinner. She kept on asking questions about Alien out of curiosity while traveling to the destination. As they walked on the shore after dinner, Song Yi asked Min Joon about the girl (Yi-Hwa) whom she resembles. 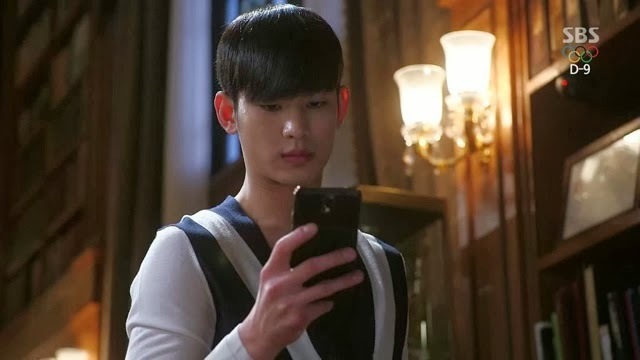 Min Joon admitted that this connection was what drove him to find out more about Song Yi. After that, Song Yi continued to ask if Min Joon had never for once like her for who she is? Min Joon thought about those moments that they shared before he coldly replied no. Min Joon was surprised that Song Yi is more concerned about him liking her than his identity as an Alien. Song Yi replied that it is more important to know what the man that I like think of me. Song Yi stated that she will get over Min Joon since he had never like her. The journey home was silent and cold. Song Yi left with determination to get over Min Joon. 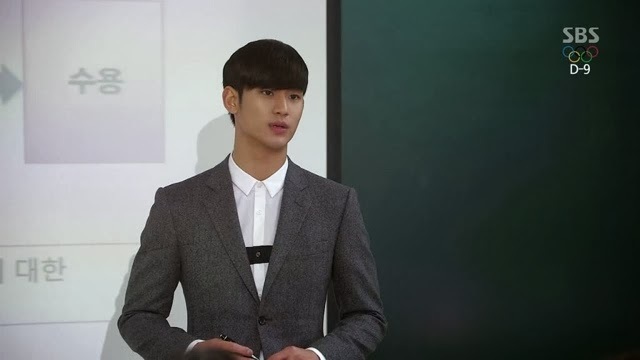 Min Joon next lecture was about five stages of overcoming grief. The first is anger - Song Yi hitting the pillow at the thought of Min Joon never like her before. Second stage is denial - Song Yi denied the fact that Min Joon is an Alien. Third is bargaining stage - Song Yi tries to convince herself that Min Joon is not her type. Fourth stage is depression - Song Yi unexpectedly cried over dinner. Lastly is acceptance - Song Yi is determined to be prettier to make Min Joon regret it. when dealing with grief. Cut to: Min Joon refusing to eat, completely depressed. Lawyer Jang said that they will sell his apartment after all. A young and wealthy man had agreed to purchase the house. No prize for guessing who is that. Yes, Hwi Kyung appeared at the doorstep. Immediately, Min Joon told Lawyer Jang to cancel the deal. He rather returned back double the deposit than sell the house to him. 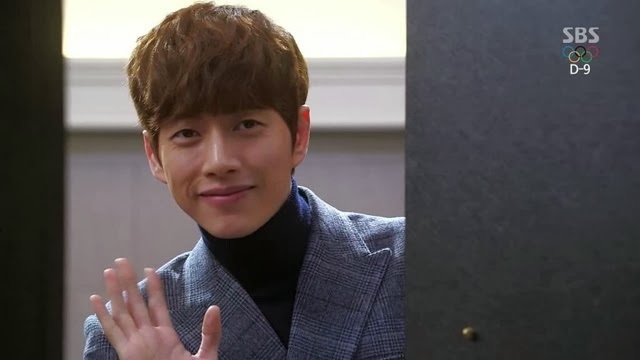 Hwi Kyung went to Song Yi apartment and revealed that he is buying over Min Joon house. 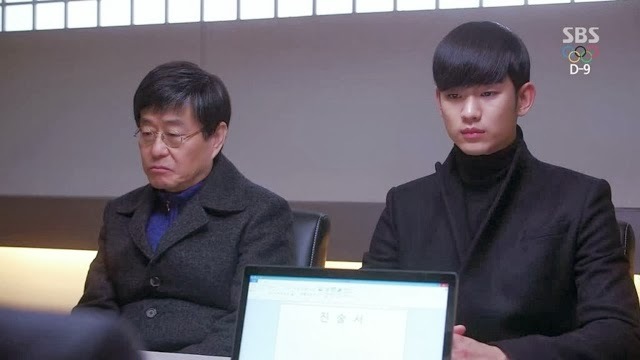 With super hearing, Min Joon overheard the conversation and was angry that Song Yi agree with Hwi Kyung. 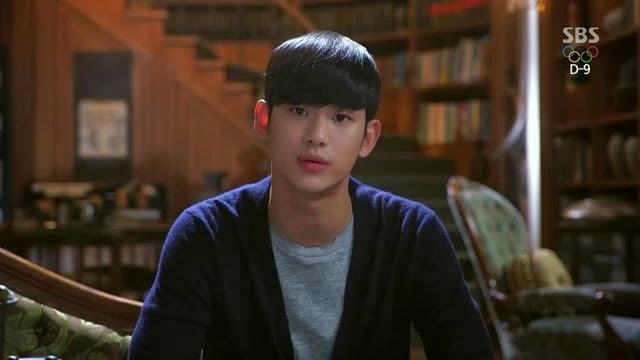 In a interview mode, Min Joon explains a saying about missing somebody so much that your heart is buried in dust. Now, he scoffs at this saying as Song Yi seem to recovered very fast. He insisted that he is NOT upset that Song Yi had gotten over the heartache. Min Joon heard their conversation about Yura case and Song Yi revealed that she had told the investigator about Yura relationship with his brother. Jae Kyung send a reminder message to Min Joon and gave him three days to consider their deal. 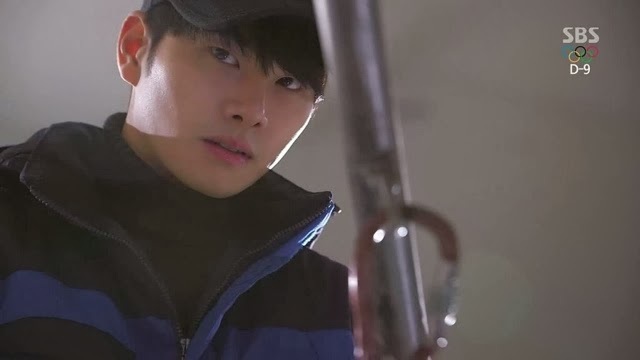 While the investigators are working hard to gather evidence about Yura case, Hwi Kyung searched his brother car GPS and managed to find the location of the Mental hospital. At the museum, Song Yi came back to find out more about the origin of the hair pin. She was told that the hair pin had been moved because of the shattering case. Song Yi asked about the hair pin owner but they could not provide the answer to her questions. 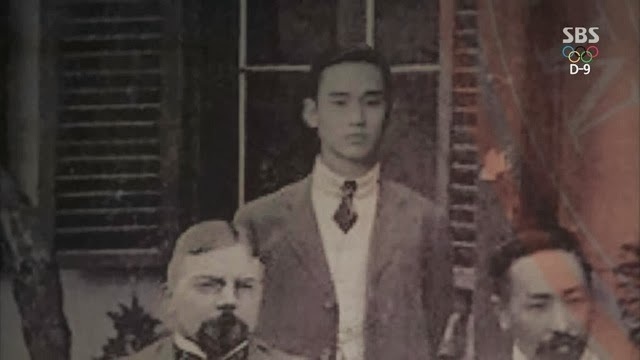 There was a photograph of the founder of this university museum. At a closer look, Min Joon was found in the picture. Song Yi flashback to those things which Min Joon said to her. The crowd gathered around to look at the photograph while Song Yi tried to block their view. Song Yi wrestles with the question of whether to tell Min Joon about the photograph. She kept shuffling in and out of the camera while Min Joon looks on. Finally, Song Yi pasted a post-it note at the door to inform him about the photograph. Min Joon went to the museum nag with his supernatural power, he managed to make himself disappeared in the picture. The two mothers met each other and begin to quarrel. That prompts Song Yi mother to Jae Kyung agency to sign the contract on her daughter behalf. She requested Jae Kyung to keep it a secret while she will try and convince Song Yi later. Jae Kyung told her to inform him about Song Yi filming schedule. Song Yi was offered a drama to film alongside with Se Mi as her sidekick. At the filming setting, we saw a glimpse of the killer secretary. He has became one of the filming crew. Seok follow the leads about the fountain pen. He was hoping to hear that the owner of the fountain pen know Min Joon. However, he stumbled when he discovered that the dead man was actually Do Min Joon. Song Yi and her mom appears on the set and it hurts their pride when they heard that Se Mi was the lead actress and that she had suggested to the director to cast Song Yi as her sidekick. Lawyer Jang heard about Min Joon deal with Jae Kyung and protested at this harebrained idea. However, Min Joon was determined to save Song Yi and time is ticking away. They arrived at the police station and Min Joon confessed his crime. Jae Kyung heard about it and smirk that Min Joon was so obedient and said that Song Yi will be "taken care of" very soon. Song Yi get ready to do her stunt without knowing that the wire was loose. She gets ready to do the action and leaped into the air. Song Yi 'test' Min Joon at the cliftside, shouting for help and calling his name. 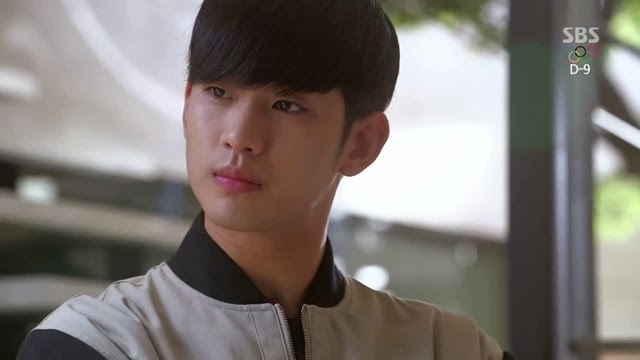 When he did not show up, Song Yi scoffs about the ridiculous claim about Min Joon being an Alien. It turned out that Min Joon did arrived there unseen and heave a sigh of relief that Song Yi is not in any danger. That was a big scare to Min Joon when Song Yi just causually called his name. 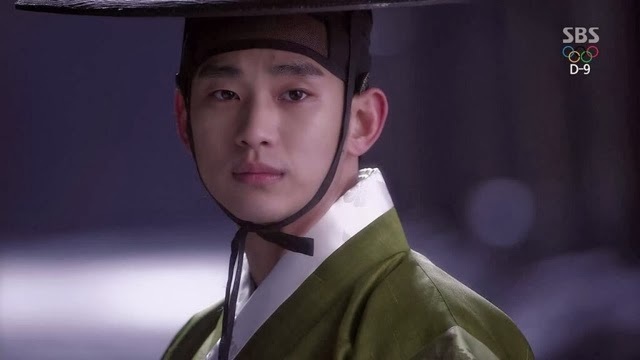 Within this period of 400 years, Min Joon did used his supernatural power to save life. However, he is generally unacceptable in the world of humans. Despite saving a human life, they treated him like a monster. 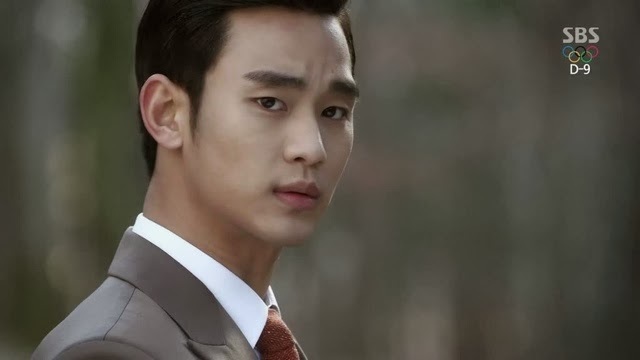 Basically, there are only a few people who can accept Min Joon for who he is, such as Lawyer Jang and Chun Song Yi. Although, they need time to digest this fact, they did not treat him like a monster. While it remains heartbreaking to know that Min Joon rejected Song Yi because he love her, there were some comedic moments too. Chun Song Yi exergerated expressions and her cuteness make the show so much fun. I admire Song Yi character and felt that the best ending to the story is a happy ending for both of them. Yes, they love each other for who they are. Lawyer Jang is always there for Min Joon and I appreciate their friendship which slowly developed into a sort of father-son relationship. I believe Lawyer Jang knows more about him than he knows about himself. I know Jae Kyung will never keep his promise and I was upset that Min Joon fall into his trap. He is planning to get rid of both Song Yi and Min Joon. Talking about killing two birds with one stone! Anyway, I am sure there will be a reversal later on. For now, I am worried about Song Yi.